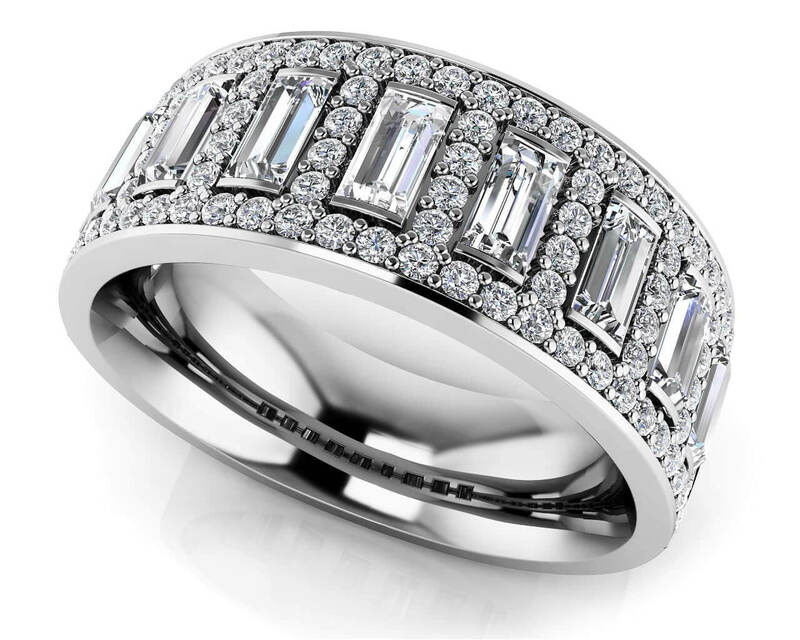 Total Carat Weight: 3.61 ct.
Few things in this world can catch the eye quite like baguette diamonds! 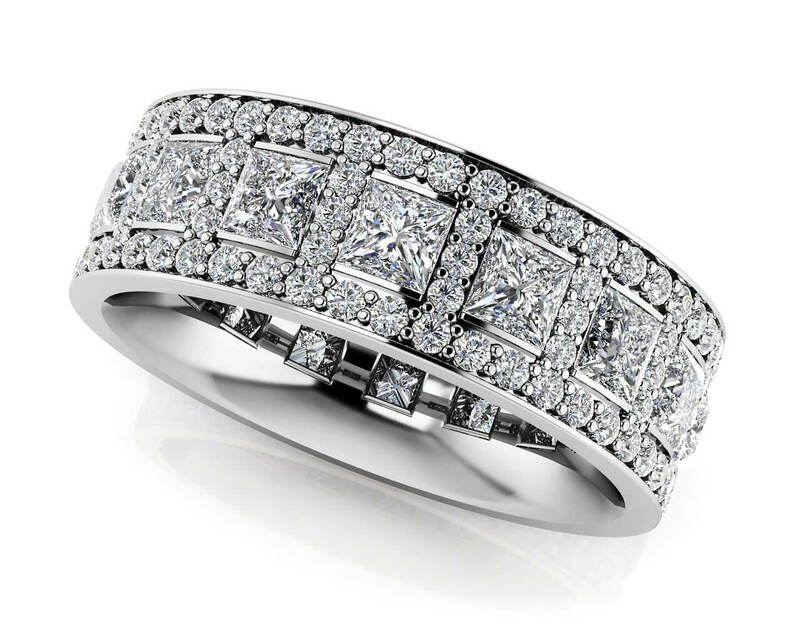 With beautiful round diamonds surrounding each baguette, this eternity ring is the epitome of luxury. 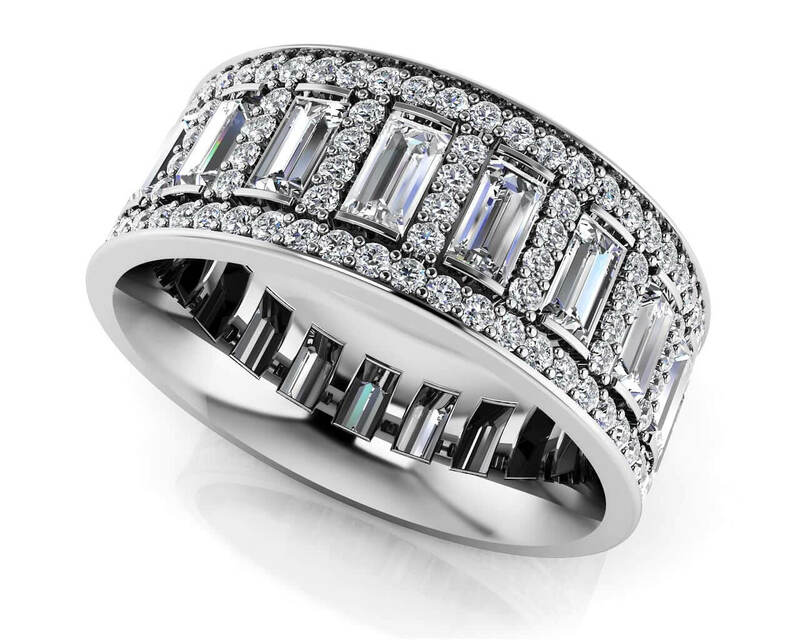 Customize with your favorite metal type, total carat weight and diamond quality to make this ring truly yours. Model Carat Weight: 3.61 ct. Effective Carat Weight: 3.61 ct.
Stone Carat Weight: 190X0.005 ct., 19X0.140 ct.